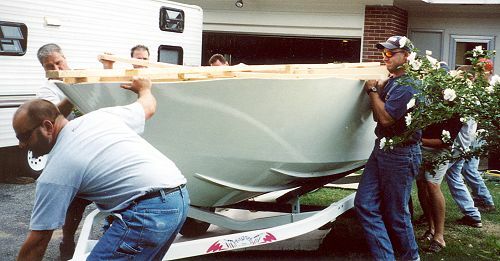 Dittos on the good time building this boat. It was a lot of work, but interesting. This boat doesn't go into the water without admirers. All good comments so far. As a matter of fact, they remember the boat. I went to the same lake two days in a row and had three people mention to me that they saw it the day before. 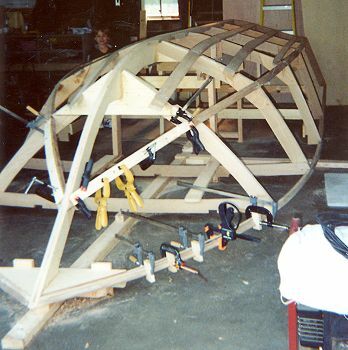 I built the boat to the drawings and specifications provided in the plans. 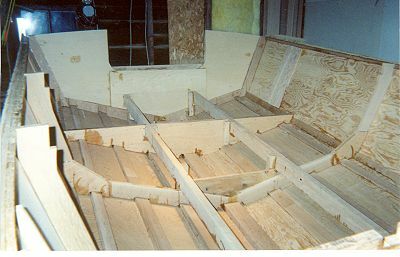 I used white oak for the frames and Douglas-fir marine grade plywood for planking. The windows and trim are mahogany, and the rub rails are white oak. 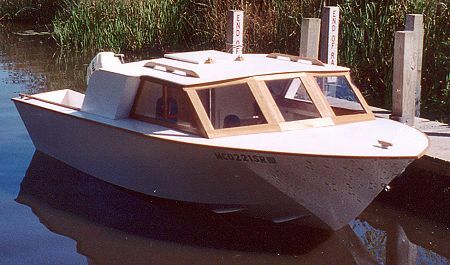 No bottom paint, because she is a trailerable boat. 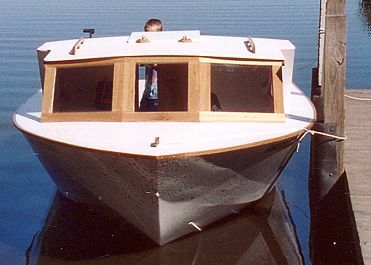 One thing I would do differently if I built this boat again would be to use two layers of 5 or 6 millimeter plywood on the bottom. 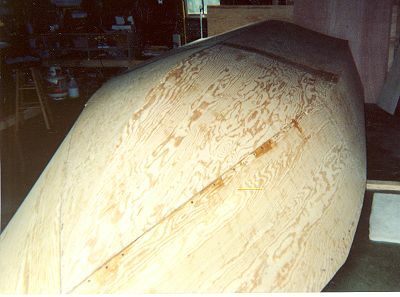 3/8" plywood is really tough to pull into place at the bow and stern. I put a 50hp Johnson four-stroke outboard on the boat. She'll do about 30 mph with this motor and prop. The cabin is very handy while fishing with the children. I pack some snacks, sodas, and coloring books and I'm set for the afternoon. This boat is for sale, but I'm not actively seeking a buyer. My wife informed me that I can't start another boat until I sell this one. You could buy a plastic boat cheaper than you can buy this boat, but you will never turn heads at the launch ramp like this one does.